Styled with gardenia sweater . 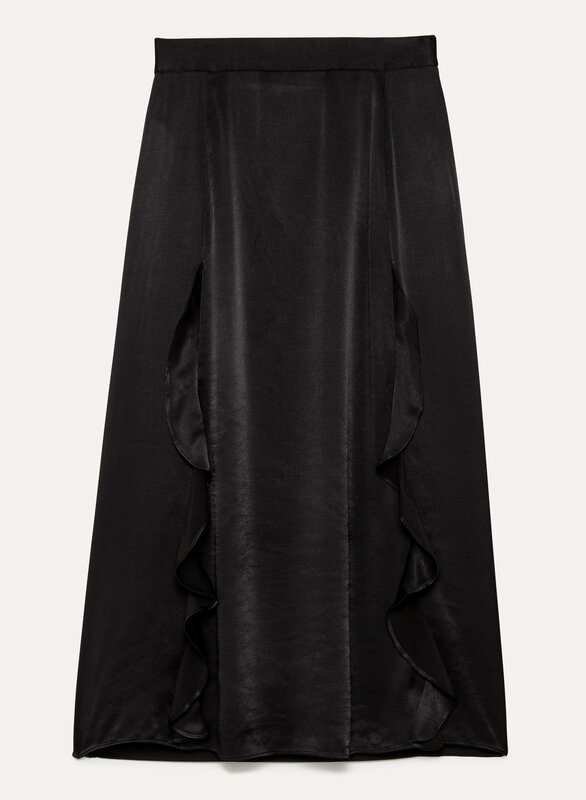 Burn down some palo santo and take yourself on a frill ride with this flounced, subtly boho skirt. A high rise and midi length make the Belladonna so easy to wear and possibly even better: it has pockets.